Heinrich Klotz was born on March 20, 1935 in Worms and studied art history, archaeology and philosophy in Freiburg, Heidelberg and Göttingen. Following a number of guest professorships in the USA, Klotz held the chair of art history at the University of Marburg from 1972 to 1989. His focus of research was history and theory of architecture as well as analysis of leading-edge development tendencies published for a wide audience. 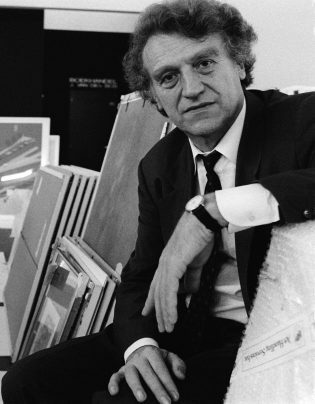 In 1979 he founded the German Architecture Museum in Frankfurt am Main, which was opened in 1984. Since 1989 he directed as founding director the Centre for Art and Media Technology in Karlsruhe as well as the College of Design under the same roof from 1991 onwards. Heinrich Klotz consulted Trude Schellling-Karrer in the founding of the Schelling Architecture Foundation and insisted that both architecture and architectural theory should be recognized in the same way.